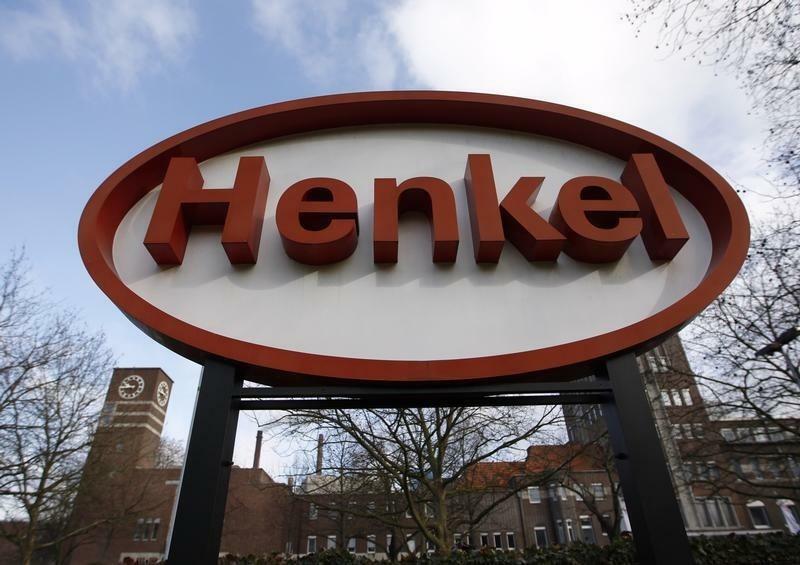 FRANKFURT (Reuters) - German consumer goods group Henkel may make further acquisitions to bolster its portfolio of detergents and hair care products after announcing two deals last month, its finance chief was quoted saying. "We do not rule out larger takeovers in that area," Carsten Knobel told German weekly Euro am Sonntag. Henkel aims to expand all three of its main businesses - Laundry & Home Care, Beauty Care and Adhesive Technologies. The firm has been shopping for takeover targets for well over a year as a way to stay competitive in a consolidating consumer goods market. It recently struck deals to buy French household cleaner maker Spotless and three U.S. hair care brands, dipping into a 4 billion euro ($5.5 billion) war chest it had been building up over several quarters. In its consumer goods businesses, the focus is on acquisitions that would strengthen specific product areas in promising countries, Knobel said, without elaborating. But he added that Henkel's consumer goods acquisition policy had no overall geographic focus. Rather, it is looking for targets that are a good strategic fit for the group, are attractive in terms of price and margins and are available to buy. "We do not see hostile takeovers," he said. In its adhesives business, meanwhile, the company will concentrate on adding new technologies, he told the paper. Knobel ruled out that Henkel could return some of its excess cash to shareholders, for instance via share buybacks. "That is currently not an option. Investments in further development of the company, including acquisitions, remain the best way to increase value in the interest of shareholders," he told the paper. He also said he expects to see similar negative currency effects in the company's second and third-quarter results as in the first quarter. In the first three months of the year, Henkel's sales fell 2.6 percent to 3.93 billion euros, as currency effects shaved almost 7 percentage points off growth. "In the short term our ability to offset these negative effects is limited," Knobel said, adding there were no plans to try to make up for currency swings by raising prices.